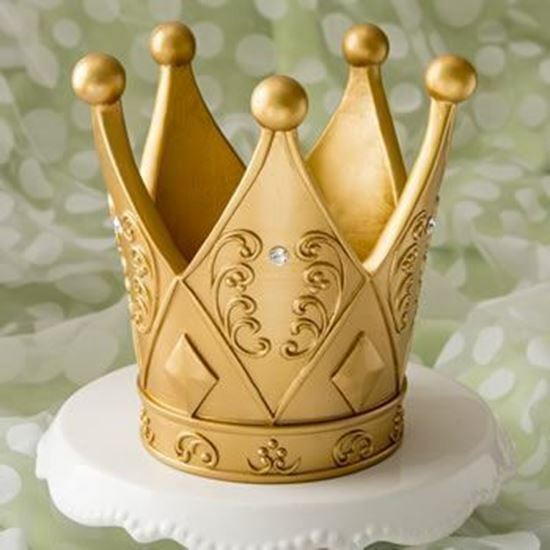 Add a Royal finish to your cake with the magnificent ornate three-dimensional crown. The crown is crafted from sturdy poly resin and is hand painted in a stunning matte gold shade. It features a molded filigree design and raised diamond shapes. The top of the crown is decorated with five large round gold balls. For an extra luxurious look, the centerpiece is embellished with clear round rhinestones around the crown.